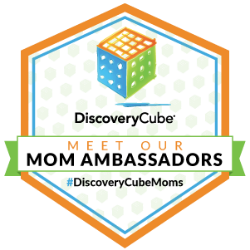 Discovery Cube OC wants to hear your stories and recognize the science teachers who open up the wonders of the world – and beyond – to students! Do you remember the science teacher who built a bubbling volcano using nothing more than baking soda and vinegar? Or maybe the teacher who convinced you to dissect a frog and inspired you to explore new subjects and careers? Perhaps you have a colleague who is amazing at being a science educator. Well now it’s time to share your favorite memories of your favorite science teacher! * Post that photo to Instagram, Facebook or Twitter with a description of how he or she inspired you or your kids. * Use #MyScienceTeacher in the caption. * Encourage friends and family to show the photo some love. * Wait to see if you have won. This contest is open to anyone! Especially all students, parents, and educators in Los Angeles and Orange counties. The contest runs September 27 through October 19, 2016. Every student who nominates a teacher will be entered into an opportunity drawing to receive a $100 VISA gift card. The teacher with the most nominations will win a $250 VISA gift card for classroom supplies!